I have started Project 365. My plan is to take a photo every day this year and place it in one album. I have the first 9 days done. I like this so far. I am planning to make up a kit for the month with the paper I have on hand. I hope to do a two page layout for each week. I do have some sleeves were you can pop the photo in quick for those crazy weeks. There will be room to journal with those pages too. I have a calendar to keep track of which photo I took and and to record some details about the day. 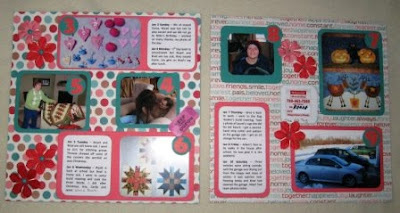 It is turning out to be just as much about the journaling as the photo. 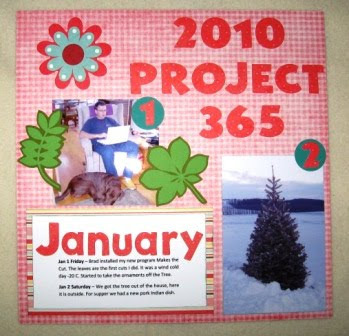 I have felt I needed to do this project because I am years behind in any kind of scrap booking. I know some days will be about work - customers quilts. I hope not to many. I plan to post some of my pages here when they are done.